See more objects with the color palegoldenrod darkkhaki lightgrey dimgrey darkseagreen or see all the colors for this object. This is a Sample. It was designed by Olga Lee Baughman and manufactured by L. Anton Maix, Inc. and distributed by Georg Jensen Sølvsmedie. It is dated 1952–1954 and we acquired it in 1955. 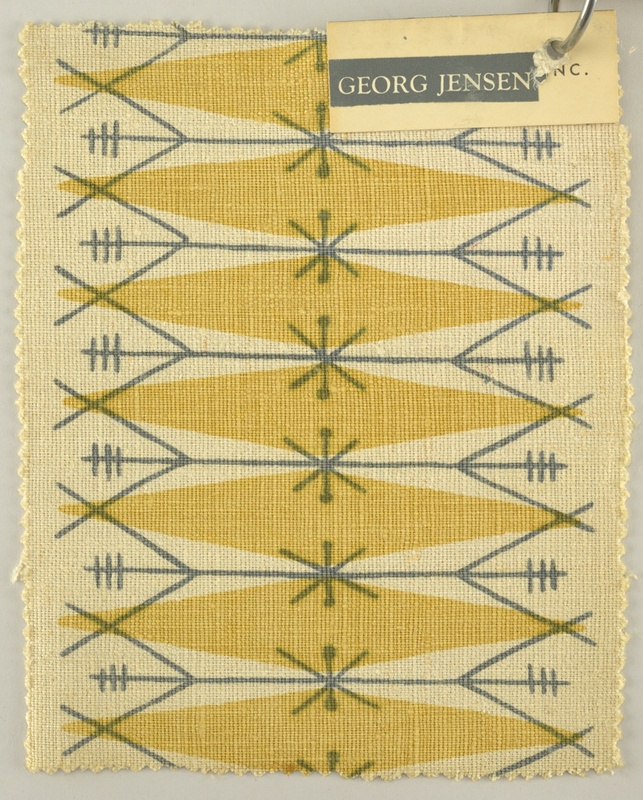 Its medium is linen and its technique is screen printed on plain weave. It is a part of the Textiles department.